I didn’t see it in the Netherlands but here it is everywhere! 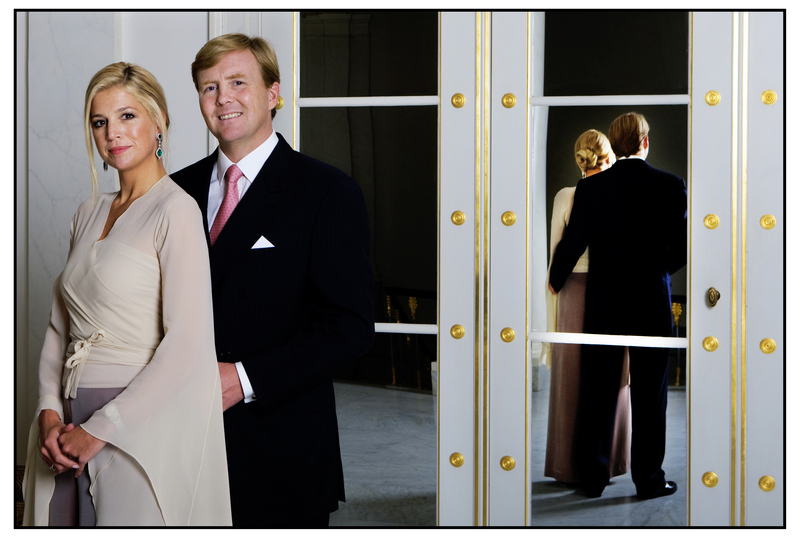 The synagogue uses the opportunity of King Willem-Alexander being inaugurated to thank the House of Orange for the liberty the Jews could experience at Curacao, and they welcome him as King. Every visitor gets a book marker in remembrance. I asked some questions to the person responsible of the museum and that shows that the Caribbean island Curacao has been more free for the Sephardic Jews than the Netherlands were and are. In Willemstad there are no religious clashes: religious leaders meet and celebrate each others holy days, people respect each others religions. The atmosphere is relaxed, this is what every European notices when entering the synagogue; safety measures are very low compared to European synagogues, I was surprised to enter so ‘easily’. The synagogue itself is of particular beauty: the silence, the architecture, the colours, the sand on the floor full of symbolism… This is a place for worship and silence! I was surprised to find an organ in the synagogue and asked questions about that too. It appears in the 19th century the orthodox community had discussions over reform; quite some members left the community and to do ‘something’, the synagogue leadership decided to introduce the organ. One century later the discussions ended up in making the synagogue liberal instead of orthodox and the organ stayed. The synagogue is alive and a center for an influential community that has always played and still plays an important role in the development of Curacao. Worth a visit! Not just the synagogue, notice the unique gravestones at the entrance of the museum; you haven’t seen a thing like this before! Art or history, I don’t know, but if I hadn’t been with a group, I could have spent my afternoon there just for the stones – masterpieces of human expression in religion! 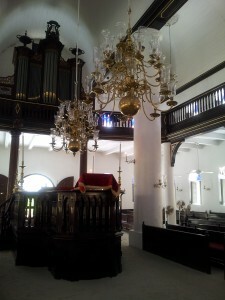 This entry was posted in Dutch Antilles, Museums and heritage and tagged diversity, house of orange and jews, jews in curacao, joods museum curacao, joodse synagoge curacao, mikvé israel-emanuel, sephardic jews caribbean, synagogue willemstad by wordpressgrethe. Bookmark the permalink.